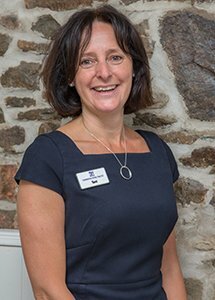 Toni joined Torrington Dental Practice in 1999, initially as a receptionist. As the practice developed so has her role and in 2003 Toni was appointed Practice Manager. During this time Toni has helped the practice gain and maintain both the Investors in People and BDA Good Practice Award. In 2007 Toni graduated from the Open University with a BSc (Hons) in Social Policy, has completed her Diploma in Management with the Institute of Leadership and Management and is currently studying towards her MBA in Healthcare through Plymouth University. In her spare time, Toni enjoys spending time with her family, especially her grandchildren, gentle jogging (and chatting) with friends.